It was December 23. Tomorrow night Santa would leave the North Pole to deliver toys to children all over the world. This year Mrs. Claus had put her foot down. "Santa, every year you work until the last minute. By the time you leave on Christmas Eve, you and the elves are all exhausted. Not this year. This year, you are going to load the sleigh early. Work stops at 6:00 p.m. December 23. At 7:00 p.m. we are going to have a Christmas party. We never get to celebrate Christmas because of your job. The elves never get to celebrate Christmas. This year things are going to be different." Everyone at the North Pole knows that Mrs. Claus doesn't talk to Santa like that very often. But when she does, he listens. So in his jolliest voice he said, "Yes, Dear." Thankfully, Mrs. Claus had told him that in November. Otherwise, they couldn't have finished. They had to work weekends, but they got it done. The dolls had been painted with bright eyes and pretty smiles. The trains had been tested to make sure they went as fast as possible. Teddy bears had been sewn and stuffed with as much stuffing as possible. Blocks had been painted with the alphabet. Rocking horses shined with the brightest colors that could be found. Red wagons had been tested and certified by the elf wagon inspectors. Jack-in-the-boxes had been in and out the boxes so many times they needed a rest. Tonight everything was loaded into the sleigh, the workshop cleaned, and ready to be locked up. Santa looked around one last time to make sure no toy was left behind. Every child was special to Santa and he took no chances with their toys. "Okay, elves." 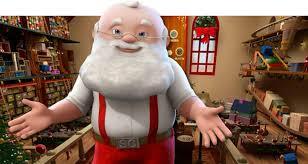 Santa's voice boomed out across the workshop. "Go home, get cleaned up, and wear your best Christmas outfit to Mrs. Claus' party. Don't be late. She has worked hard on this party. Tonight we celebrate Christmas." A cheer rang out from the tired little elves. They had looked forward to this Christmas party. Some of them had thought they worked too hard and weren't rewarded for it. None of them complained aloud because Santa always reminded them "Christmas is for the children. We do what we do for the children." They rushed home to get ready for the party. They knew Mrs. Claus had been cooking all day. They loved the way Mrs. Claus cooked. Her apple pie was over the top. Her fudge was good enough to win prizes at a county fair. And nobody made cheesecake like Mrs. Claus. 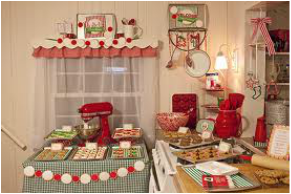 When it came to cookies, Mrs. Claus had about 1,000 recipes. Santa walked into the house, stopping just inside the door to take a good whiff of the wonderful smells in the house. "I'm home." He said with a jolly laugh in his voice. "Hi Santa." Mrs. Claus said. "Can you help me in the kitchen. The pies are ready to come out of the oven." "Well, I am ready for them to come out of the oven. They smell delicious." Santa laughed. "Now don't you eat too much tonight. I've already let your suit out once. I don't have time to do it again." "Okay." Santa laughed, but his agreement didn't sound too convincing. Between the two of them, they removed pies from the oven and finished loading cookie trays. Finally everything was ready for the first Christmas party an the Claus' house. An hour later the elves showed up in their best Christmas outfits. They were all dressed in red and green. Mrs. Claus complimented them on their fine attire. Santa beamed with pride as he looked over his little elf workforce. He felt like each one was his own child. He had trained them from the beginning and watched them grow into the fine elves they were now. Suddenly, the doorbell rang. Santa opened the door and there stood Dwelf the Elf. Everyone gasp as they saw him. He wasn't wearing green and red. He didn't look Christmasy like Santa told them. Dwelf was going to be in trouble with the big guy. Santa didn't like it when his elves failed to follow instructions. He was very particular, especially when it came to Mrs. Claus. He didn't like it when one of them upset her. Dwelf was wearing a bright yellow shirt. He looked great, but not wearing what Santa had told them. He smiled as he greeted everyone at the party. Everyone smiled back politely--no sense in making things worse with Santa. Mrs. Claus came into the room. "Hello Dwelf. I'm glad you're here. You look very handsome tonight." "But you don't look like Christmas." One of the elves said. No one was sure who said it. "Those aren't Christmas colors. Red and green are Christmas colors." "Red and green are beautiful colors. And I love them this time of the year. But I wanted to wear a color that represented Christmas. Bright yellow represents Christmas." "What?" Said many of the elves at once. "The color that represents Christmas is bright yellow like the sun. You see, the real meaning of Christmas is that the Son of God came to earth as a baby. Even before He came, He knew that He would die on the cross for the sins of men. The Bible says that we have to pay for our sins. Jesus didn't want us to do that, so He paid for them. All we have to do is ask him to be our savior and forgive us of our sins. At that moment, He comes into our hearts and we understand what Christmas is truly about. We feel a joy like never before. Christmas takes on a new meaning because we have the meaning of Christmas in our hearts. In fact, everything takes on new meaning. The world seems brighter because we have joy in our hearts. So I think bright yellow like the sun represents Christmas. "Dwelf is right." Mrs. Claus said. "That is the true meaning of Christmas." "Let's all bow our heads and pray. We'll ask God to help us remember what the true meaning of Christmas is." Santa said. 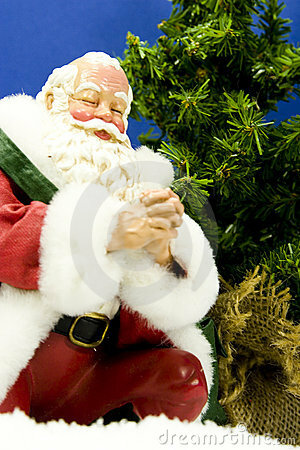 All the elves bowed the heads and Santa lead them in pray. He thanked God for sending his Son because without him, there would be no Christmas. Preston had always known he was smart. He could read, add, and subtract before he started kindergarten. In first grade his teacher thought everything he did was wonderful. One day she got sick and couldn’t talk well. When it was story time, she let Preston read to the class. After he finished reading, he asked the class questions about the story. They raised their hands and waited for him to call on them before answering. He felt like a real teacher. Now he was in second grade. Mrs. Dodge didn’t think everything Preston did was great. She fussed about his penmanship and she was always pushing him to do his best work. She said she was trying to prepare him for adulthood. Preston asked his mom what that was. She said it was a grownup. Preston thought Mrs. Dodge should have just said that. Before the beginning of the holiday, Mrs. Dodge gave a writing assignment that was due when they returned to school. The assignment was to write an essay entitled My Holiday. Preston hated writing essays. Belinda was very happy living in a field with all the other bluebonnet seedlings. She loved to snuggle down in the warm dark soil at night and watch the Texas stars. During the day she would roll on top of the ground, basking in the sun. said the rain was important to help little seeds grow up to be big bluebonnets. on the ground, she rolled back home. The next day it was raining and Belinda couldn‘t play with the wind, so she read a book about it. The book said that the March wind was very strong. Belinda could hardly wait to meet the March wind. Every day Belinda looked out from the soil, hoping the March wind would come by her house. When it came, it wasn‘t as strong as the book had said. for the afternoon wind to take her for a ride. began to get tired and wasn‘t standing up so high in the sky. Maybe it was embarrassed about being tired because it started turning a little red. Then, it got so tired that it sat down on the earth. By that time Belinda was getting tired and asked the wind to take her home, but he just kept blowing her away. Abby couldn't sleep. It had been several nights since she had slept. "What's wrong, Abby?" Her mom asked. "Are you feeling alright?" "You've got to get some sleep. How can you learn in school if you don't get enough sleep?" "What are you thinking about while you are lying in your bed?" "Abby I want to help you, but I can't if you don't tell me what's wrong." "I'm alright." Abby said as she gathered her books for school." All day Abby thought about what her mother had asked her. She really didn't know what she was thinking about, but she knew she wasn't fine. That afternoon Abby heard her name being called very loudly. She looked up from her desk to see her teacher standing in front of her. "Abby, what are you thinking about? I've been calling your name for a while now. You never heard me." "No, I didn't hear you. I'm sorry." "I want to know if you turned in your Science paper." "Well I don't have it in my stack of papers. Look in your desk, please." Abby looked carefully through her desk for her Science paper. She found it crumpled up in the back of the desk. When she handed in, Mrs. Singleton looked kind of funny. "Abby, that's not like you to treat your papers like that. Are you sure you're alright?" That night when her dad came home from work, Abby ran into his arms. "Well," her dad laughed. "I'm glad for the hug, but what is going on?" "I'm so glad you're home." Abby started crying. "Scared? What are you afraid of?" "I saw on television that a little girl my age died. What will happen to me if I die?" "Well let's get the bible and we can see what it says." Abby's dad turned to Romans. "See Abby, Roman's 3:23 tells us that we have all done things that are wrong. Have you ever done anything wrong, Abby?" "Abby???? Have you ever done anything you knew you shouldn't?" "Romans 3:10 tells us that no one is good enough to go to heaven. Abby, can you go to heaven with sin in your life?" "Romans 6:23 tells us that there are consequences for our sin. Just like when you get in trouble at home, there is a consequences when we break God's laws. Romans 5:8 tells that Jesus paid that consequence for us so we don't have to pay it. Wouldn't that be nice, Abby? To have Jesus pay our consequences so we can go to heaven? "That would be nice. I don't like it when I have consequences." " Romans 10:9 & 10 tells us that if we ask Jesus to forgive us of our sin, we will be saved. Then we can go to heaven when we die. See if Jesus is your savior, there is no reason to be afraid of dying. We know that we will go to heaven to live with Jesus forever. Do you understand what I've told you?" Abby thought about it. "Yes I understand." "Have you ever asked Jesus to come into your heart?" "Would you like to ask him now?" Abby and her dad bowed their heads. Abby's dad prayed first. Then Abby asked Jesus to forgive her sins and come into her heart. Abby was surprised that her fear was completely gone after she prayed. The next Sunday, she told people at church that she had asked Jesus to be her Savior.